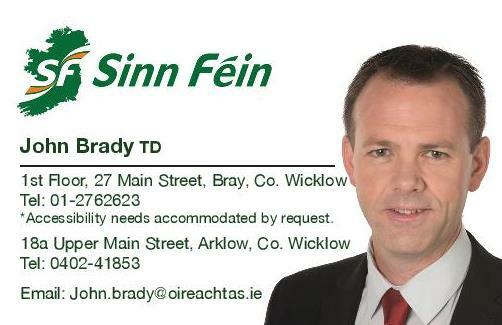 Sinn Féin TD for Wicklow/East Carlow John Brady has expressed disappointment that Minister Bruton has failed to provide any commitments in relation to the timeframe for the opening of Coláiste Raithín and St. Philomena’s National School in Bray. 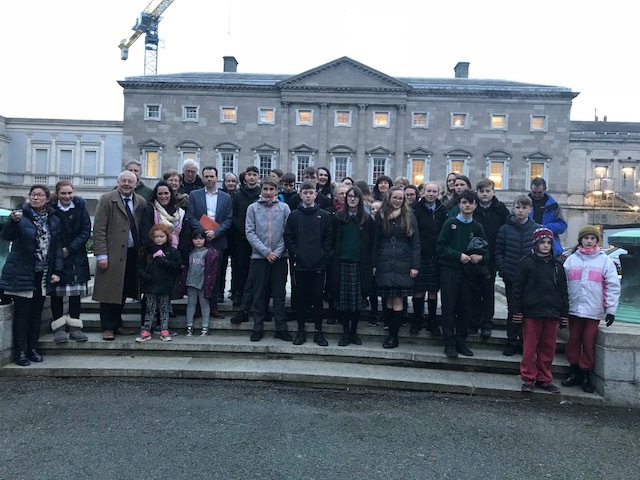 A debate on the consequences of the fallout of the liquidation of Carillion on schools across the State was held on Tuesday evening in the Dáil. “On Tuesday evening I had the opportunity to raise a number of concerns that had been voiced by teachers, parents and students at the public meeting held in relation to Coláiste Raithín on Monday night. “I was delighted to welcome a huge number of people from Bray into Leinster House to listen to the debate on Tuesday evening. 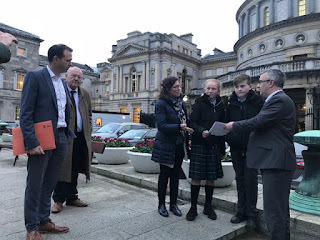 Coláiste Raithín also took the opportunity to present Minister Bruton’s office with a petition. “Coláiste Raithín is a completed development and St. Philomena’s is 95% complete with some small work outstanding. In the case of Coláiste Raithín, the school simply needs certification in order for the teachers and students to be moved in. I put it to the Minister that this needs to be fast tracked. I asked the Minister to put in place a caretaker maintenance agreement to ensure that the move in can happen without any further delay. “I asked the Minister to ensure that all suppliers are paid in full to ensure that all supplies in the school are paid for and are therefore, not at risk of being removed. The school is fully equipped and this must remain the case. “I also put it to Minister Bruton that it was absolutely necessary for contingency arrangements to be put in place so the Government are prepared to act if the liquidation process in place is to end up in court which would further draw out the timeframe for the opening of the schools in Bray. It is essential that the Minister is prepared and willing to bring forward emergency legislation if this is to occur.